- We want to help young people in the precise selection of the field of study in technical disciplines, the most needed in economy and giving good prospects for employment and earnings - says Waldemar Siwiński, president of the Perspektywy Education Foundation, originator of the Engineering Studies Ranking. The Ranking rules, including criteria and their weight, were prepared by the Ranking Board, which was chaired by prof. Michał Kleiber. The Board included both experts in the field of higher education as well as representatives of various branches of industry. In the Perspektywy Engineering Studies Ranking 2018, the following fields of study were evaluated: Automation and Robotics, Architecture and Urban Planning, Biomedical Engineering, Biotechnology, Chemical and Proces Engineering, Chemical Technology, Civil Engineering, Computer Science, Electrotechnics, Electronics and Telecommunication, Environmental Engineering, Geodesy and Cartography, Logistics, Management and Production Engineering, Material Science, Mechanical Engineering, Mechatronics, Mining and Geology, Power Engineering, Technical Physics, Transport. To asses them indicators were grouped into six criteria: prestige - evaluation survey of faculty staff opinion; Alumni situation on the job market - measured by the study "Alumni’s Economic Situation " conducted by the Ministry of Science and Higher Education; Academic potential - parametric evaluation of the Ministry of Science and Higher Education, rights to confer academic degrees, degrees awarded; Scientific Efficiency - publications, citations, Field-Weighted Citation Impact; Didactic Potential - quality the admitted for studies, availability of highly qualified academic staff to students and accreditations; Innovation - patents and protective rights. 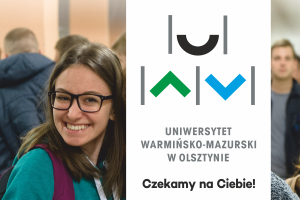 In this year's edition, the largest number of faculties in the top three of each 21 ranked disciplines of technical studies were four universities: Warsaw University of Technology (10 faculties took 1st place, 7 – 2nd place, 4 - in 3rd place), AGH University of Science and Technology in Krakow (respectively: 8-7-2), Silesian University of Technology (2-1-2) and Wroclaw University of Science and Technology (1-4-5). A group of faculties representing equally great universities Gdańsk University of Technology, Lodz University of Technology and Poznań University of Technology took places just behind them. At the top of the Ranking there are also faculties of the Military University of Technology, Cracow University of Technology, West Pomeranian University of Technology, and even - the Nicolaus Copernicus University in Toruń.